I love dragonfruit, specifically the red outer skin, red inner flesh one. I hate the red outer skin, white inner flesh variety from Vietnam, which tastes blah. The red flesh one tastes gorgeous! We were at the hawker centre near Arbeit, when Mr Bear said we should totally get this. 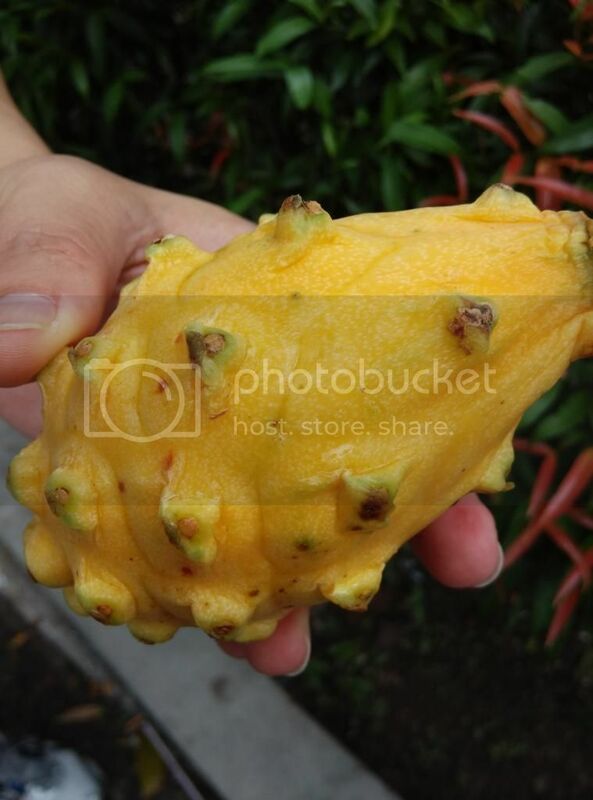 A yellow outer skin dragonfruit. He said he gets them at S$7-8 for one at Chinatown, and when he asked the uncle how much this cost (S$5), he said we must get, and that the yellow ones are the best. Super sweet. I haven't tried the flesh but I brought it home. So will try out and see what color is inside.